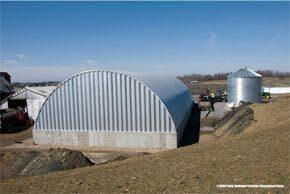 called quonset huts and their modern use and advances. 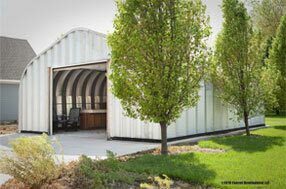 What is a quonset hut and its history? 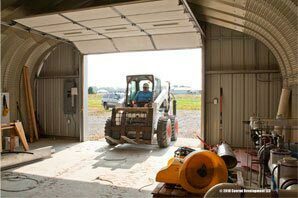 The quonset hut is named after the town of Quonset Point in Rhode Island where the first quonset hut was manufactured by the United States military, the Navy in particular. Almost 80 years ago during World War 2 we took notice of the British barracks buildings called the Nissen hut. What was interesting is that the prefab metal garage could be assembled and disassembled quickly and relocated. 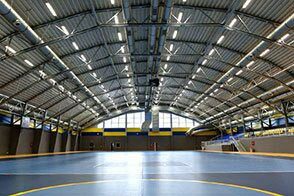 Other appealing attributes were that the interior was a clear span building design no there are no obstructions like poles or support structures providing 100% usable space inside. In addition, the solid steel building was incredibly solid and impervious to high winds, earthquakes and heavy snow loads and protected what was inside from firepower and other threats. 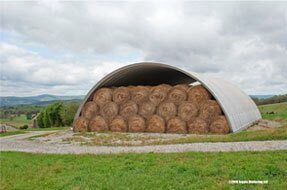 So the navy began constructing these prefab quonset huts as versatile prepackaged kits and shipping them to locations around the world for our troops. 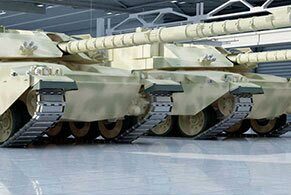 They were first manufactured to a standard size of sixteen feet by thirty six feet using a steel T framing with an eight foot radius, later to be enlarged to twenty by forty eight feet. The walls were corrugated metal panels painted in military camouflage colors and designs with wooden insulation and floors. After use the government sold them to the public, mostly the agriculture industry, businesses and homeowners some of which are still standing today. 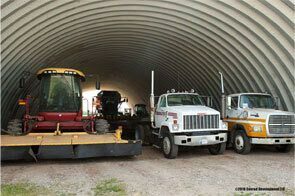 The modern style quonset huts for commercial and home use application has made many advances to its engineering, design and variety of useful features and accessories. 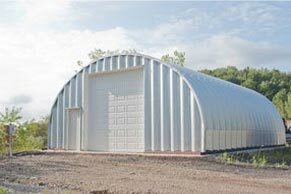 Today’s quonset hut, manufactured and sold by Metal Building Kings has much thicker gauge steel that comes in several thicknesses to accommodate building codes across America. The steel is now made of AZ55 Galvalume® - which is comprised of aluminum, silicone and zinc which is a a far more effective coating to help prevent rust and lasts decades longer than the 20th century buildings. 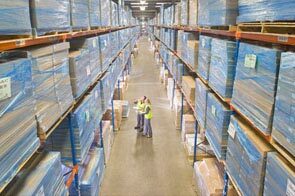 Even the paint systems used today last decades longer due to the synthetic resins used and thermal barrier they produce. 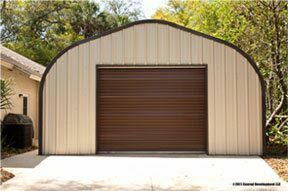 Today’s Metal Building Kings panels have steel arch panels with a much deeper 7½" corrugation and are engineered for much better strength. 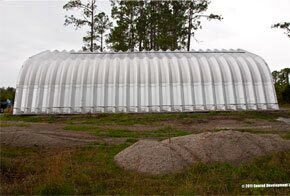 Quonset huts now come in four different arch designs, the P, Q, S and A metal garage kit models. The Q model quonset hut kit is the original design. Each has a different style arch from rounded to vertical and slanted roofs and sidewalls as shown on our website. 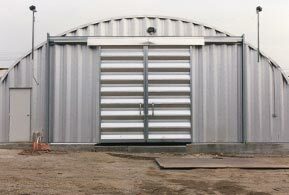 Metal Building Kings quonset hut kits have several options for end walls mechanical doors, lighting, ventilation, skylights, windows and steel building insulation to name just a few.